The AMS Turntable is an invaluable tool for nose wheel collapse scenarios. Placing the turntable under the fuselage, with a suitable airbag positioned between the fuselage and turntable to prevent secondary damage, the disabled aircraft can be moved in the same way as if the undercarriage was still in place. 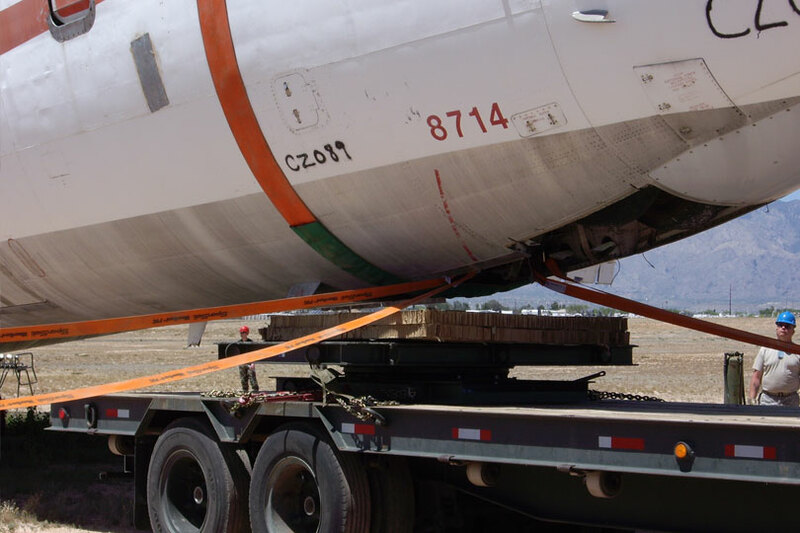 The turntable can either be mounted on the AMS sledge system if the ground is soft, or unsuitable for wheeled vehicles, or the flatbed of a vehicle. The AMS turntable allows the recovery engineers better maneuverability in confined areas. 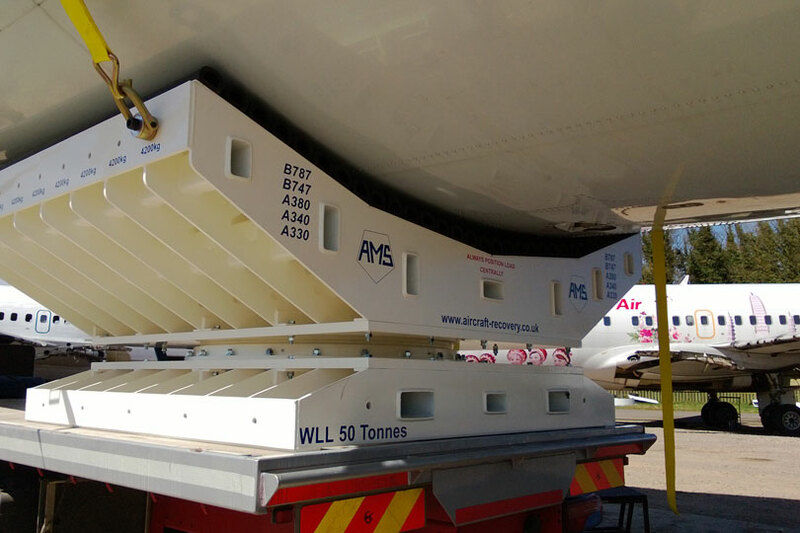 Combining data from the use of 15-tonne models with information from British Airway’s leading air recovery engineers, AMS has produced the first 50-tonne turntable specifically designed to deal with nose gear failures for aircraft up to the size of the A380. Two key innovations which are unique to the 50 tonne capacity turntable are the curved profile design and rubber buffer cushion interface. 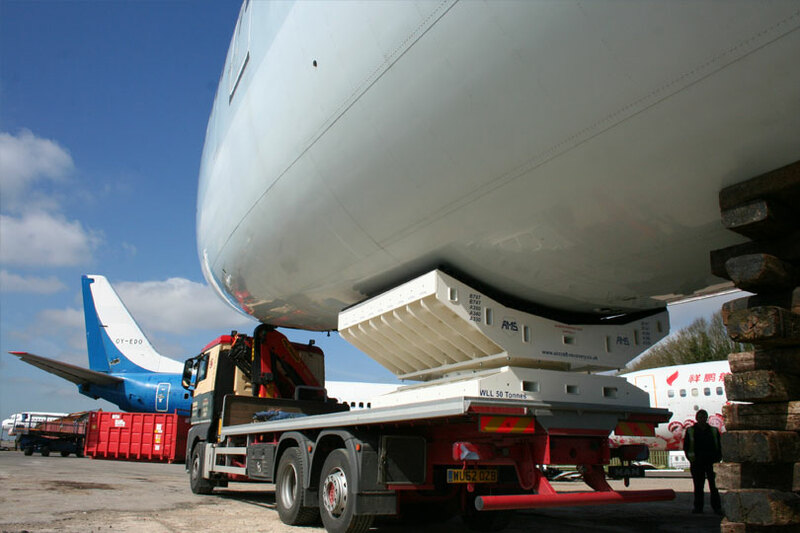 The curved profile allows even the largest aircraft to sit within the bed of the turntable, reducing the amount of point load applied to the fuselage. This design also helps recovery teams to easily centralise the load, which increases stability and control when towing. 2350mm x 1650mm x 510mm - 615kg. 2384mm x 1684 x 350mm - 565kg.